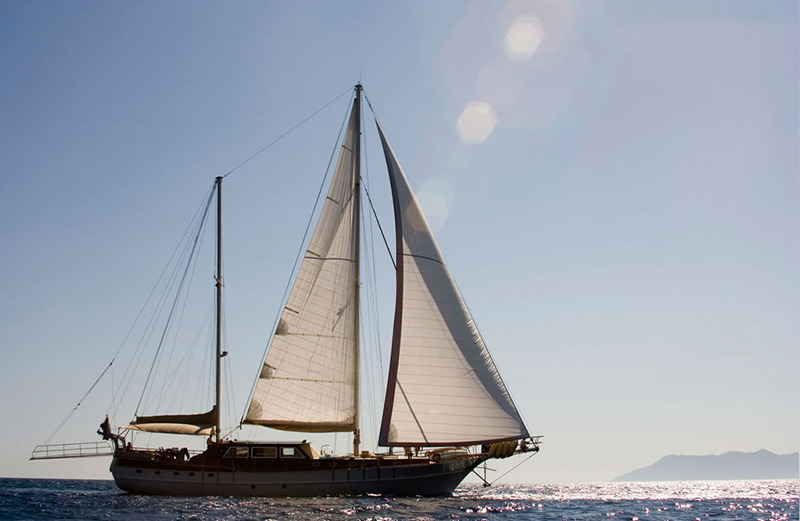 The elegant classic gulet Aegean Schatz is a quality 30 meter gulet, crafted by some of the best gulet shipbuilders in Turkey, maintained and updated with the latest technology, and staffed by a professional international crew, to give up to ten guests a superb carefree cruising holiday. 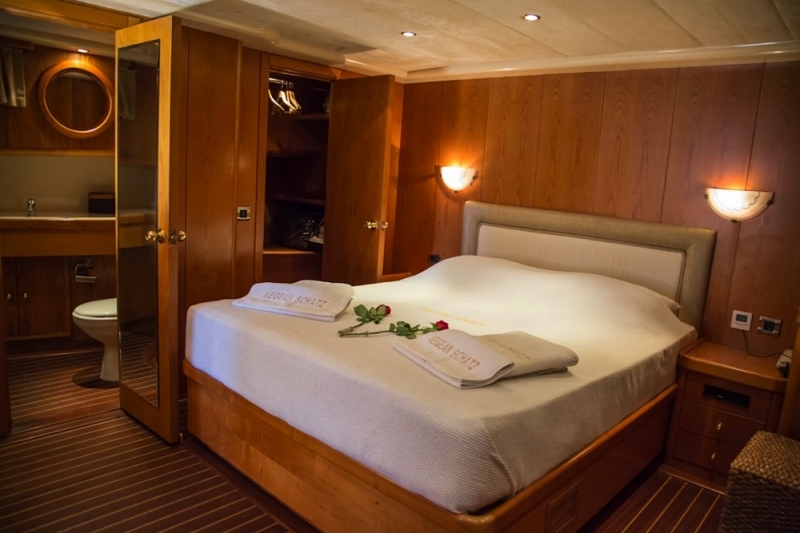 The light-toned timber minimalist interiors of the cabins and saloon are warm and welcoming for relaxation and leisure. 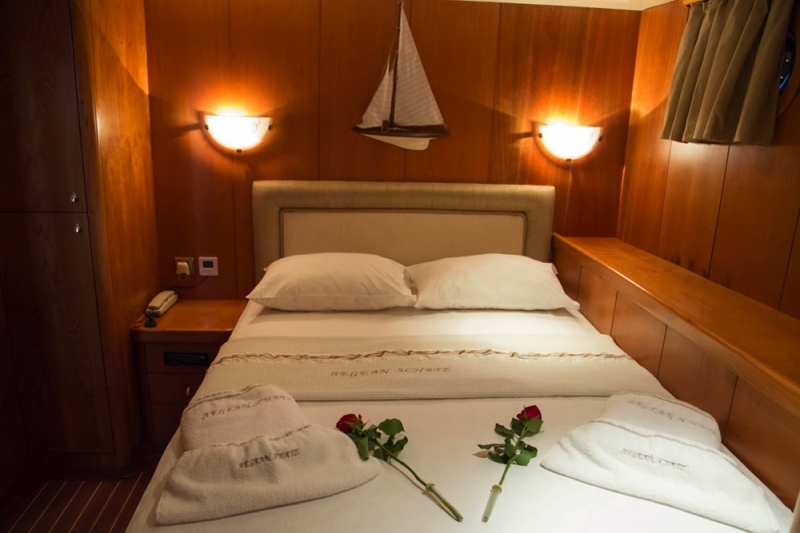 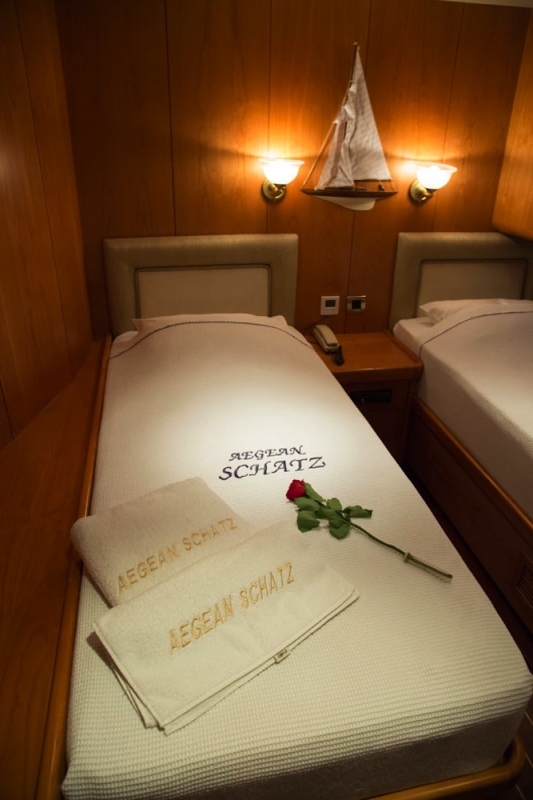 The Master and VIP cabins feature walk around queen size beds, vanity desk, and well-appointed private bathrooms. 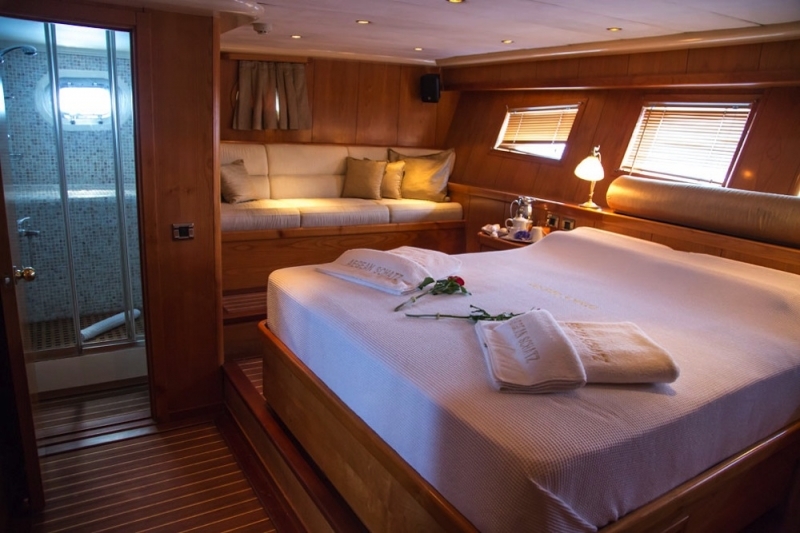 The master is located in the stern to make the most of the full width of the beam, with the two double bed cabins adjacent. 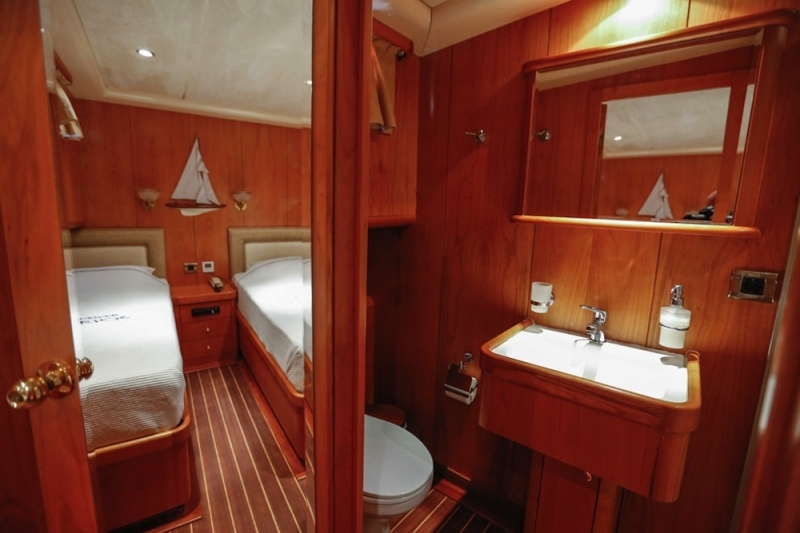 Accessed forward from the saloon, the VIP cabin is placed in the bow with the twin bed cabin next door. 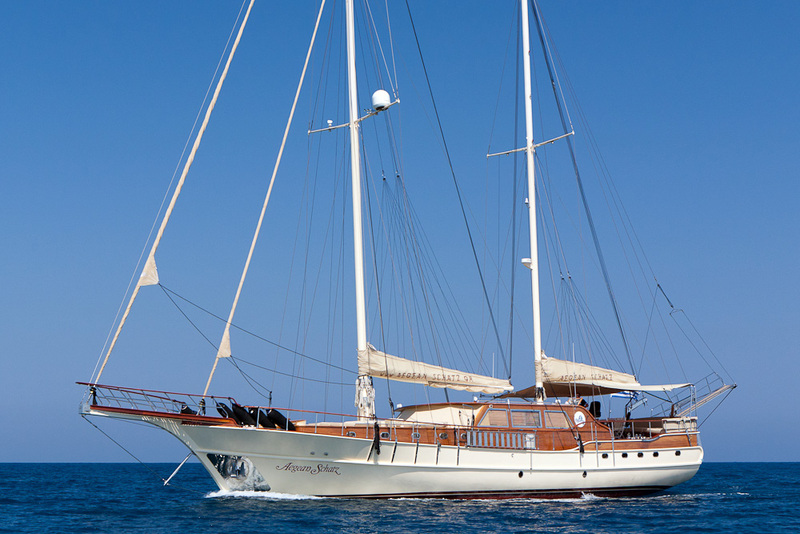 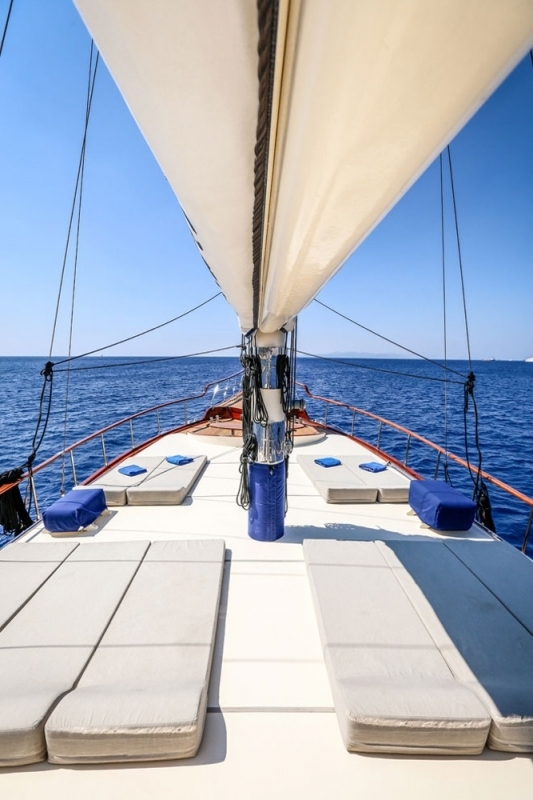 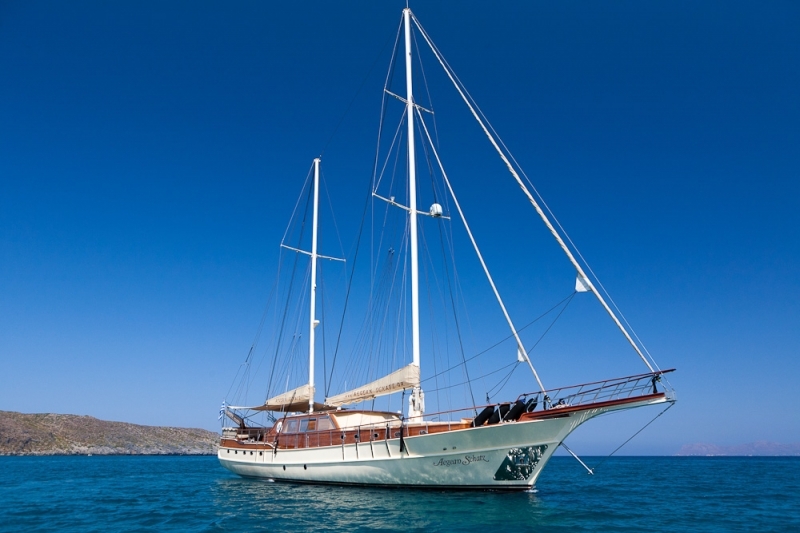 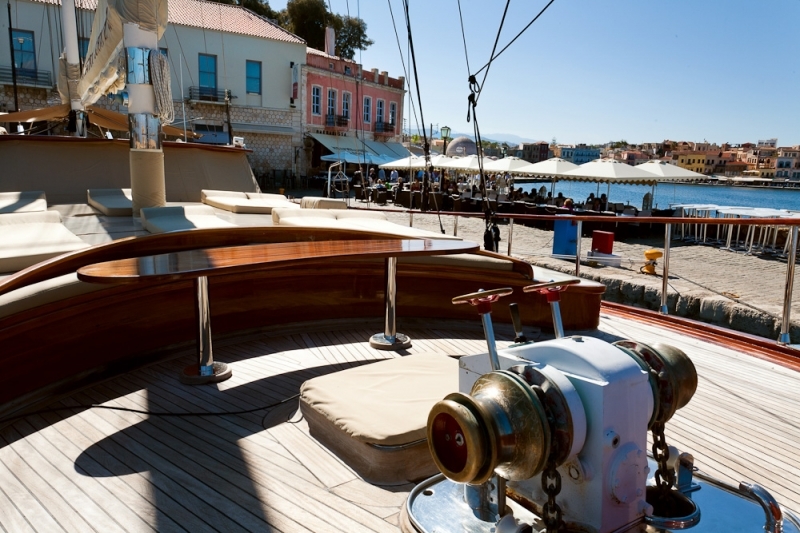 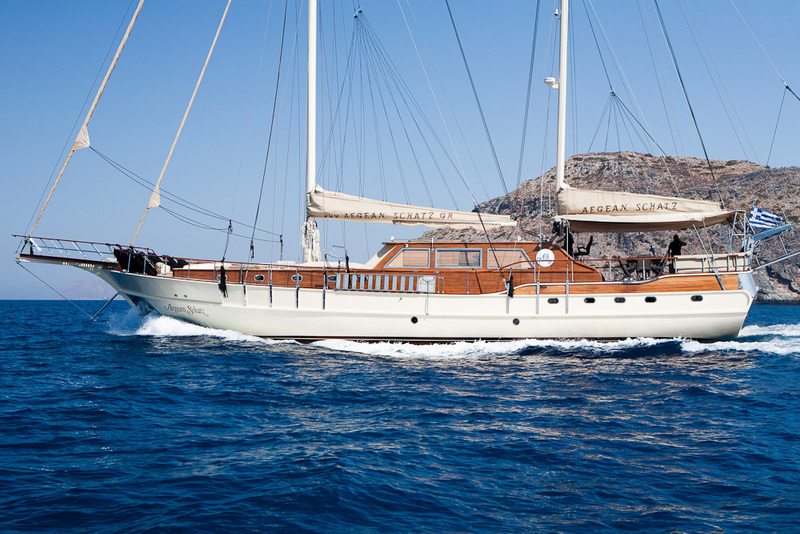 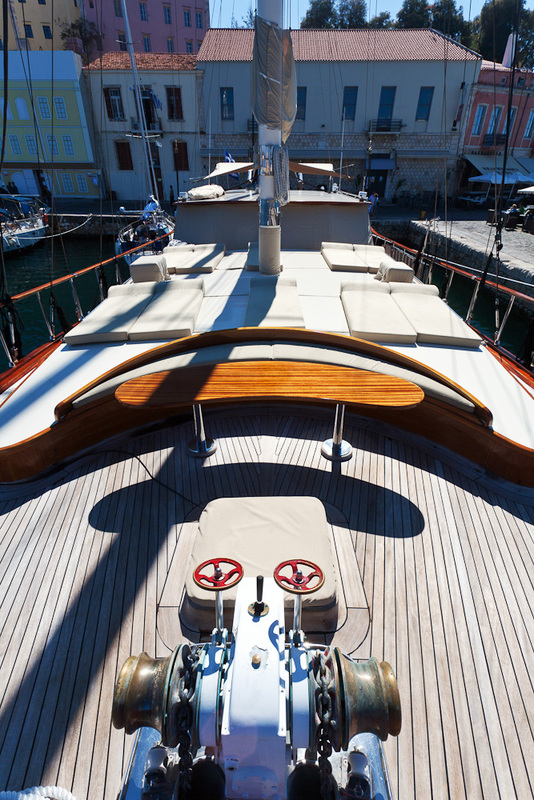 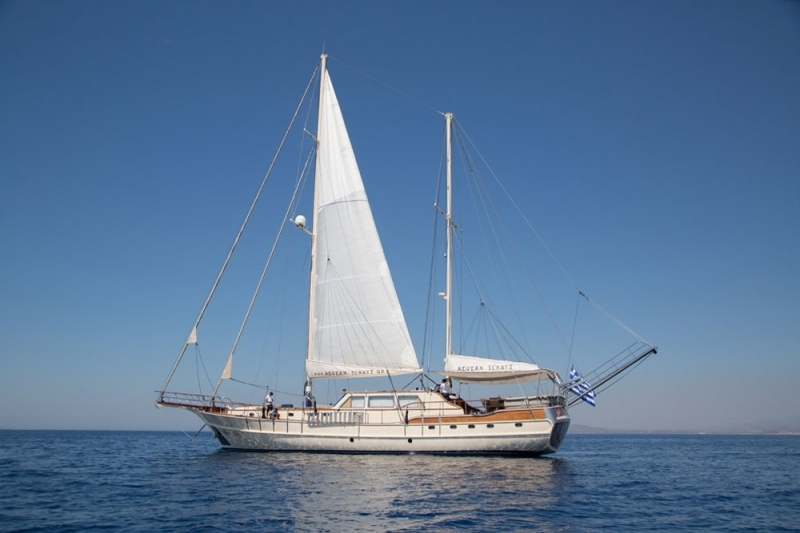 The classic space that is so much a feature of gulet life is available in different areas of the Aegean Schatz deck. 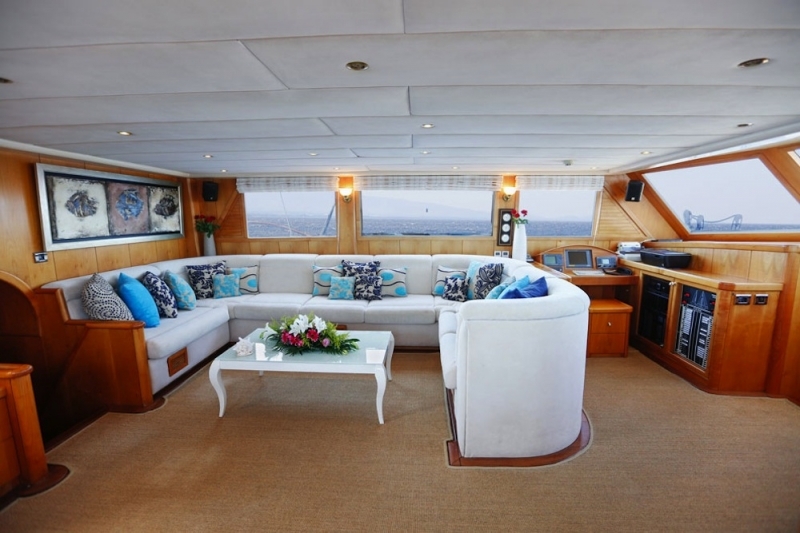 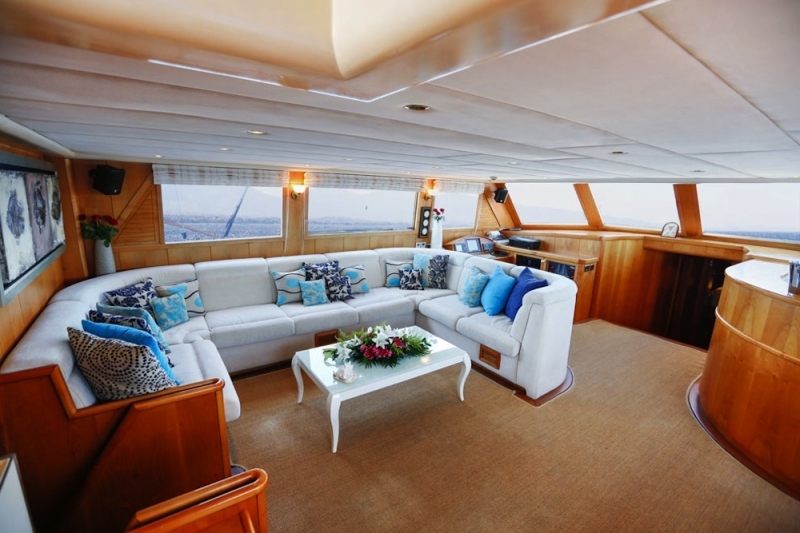 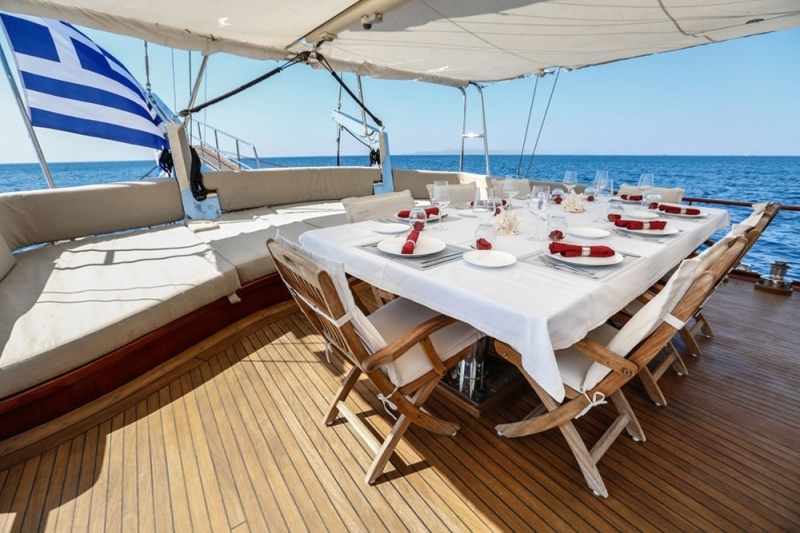 Underneath the shade over the aft deck guests will enjoy dining outdoors at the full dining table or lazing on the very comfortable cushion pad across the stern. 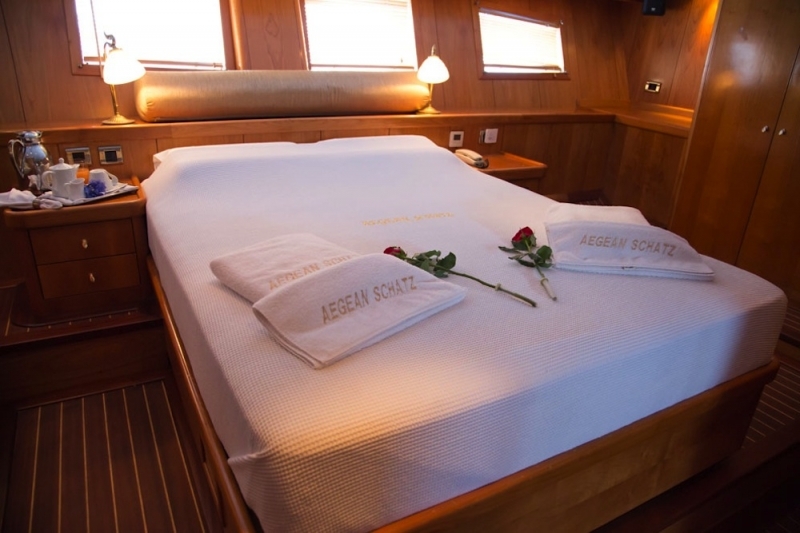 Forward the full sunbeds or the curved cushioned bow seat offer more space for relaxing together for guests, while the excellent service of the crew see to all their needs and activities. 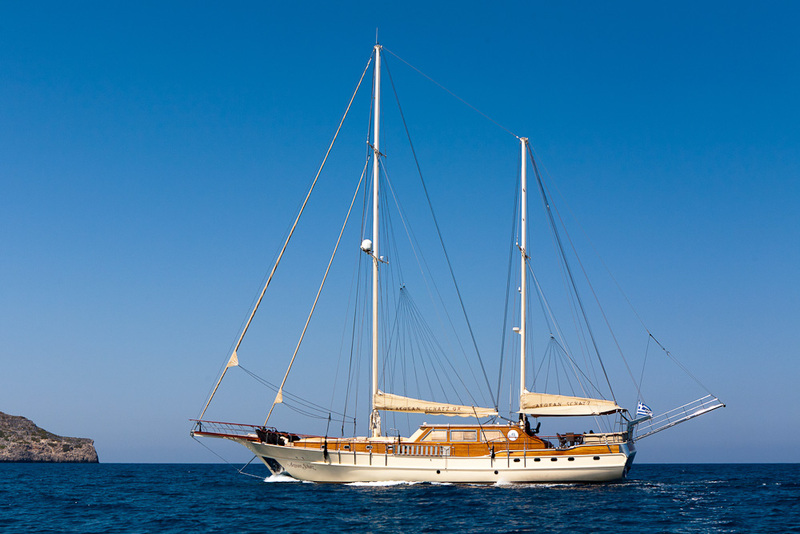 Entertainment is available in the form of TV, DVD and music in the elegantly comfortable saloon, or for the more active, the water toys are ready to enjoy the delights of the clear waters of the Aegean. 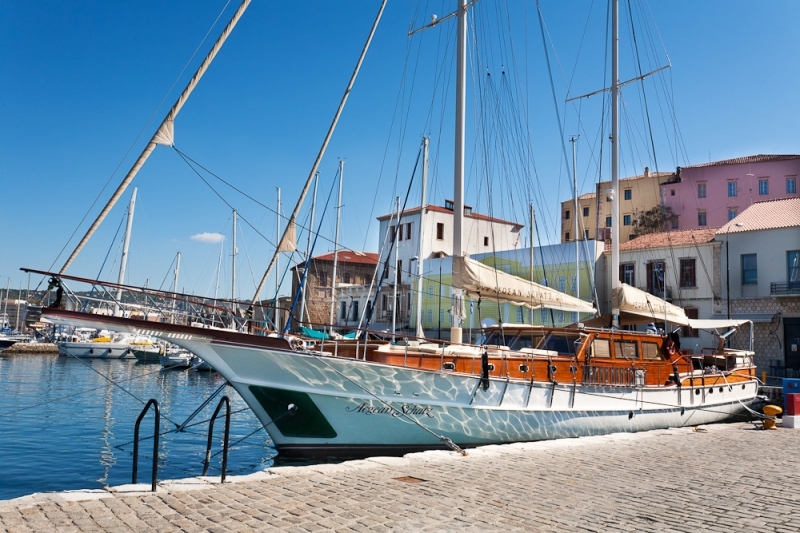 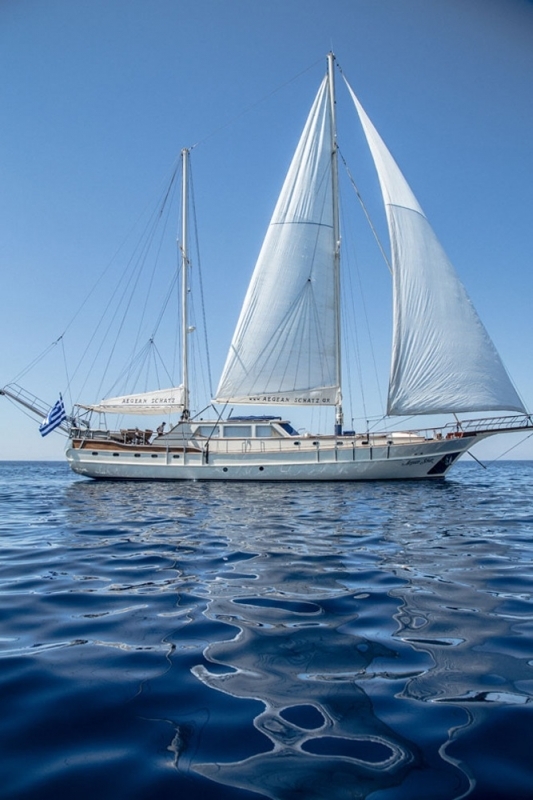 With the Aegean Schatz based near Athens, cruising the Saronic and Cycladic Island groups is a delightful option, while the whole Aegean is within range for longer carefree escapes aboard.